No longer operative on NBC or Univision, it’ll be on ReelzChannel. The still obscure ReelzChannel again has stepped in as an adoption agency for orphaned TV programming. 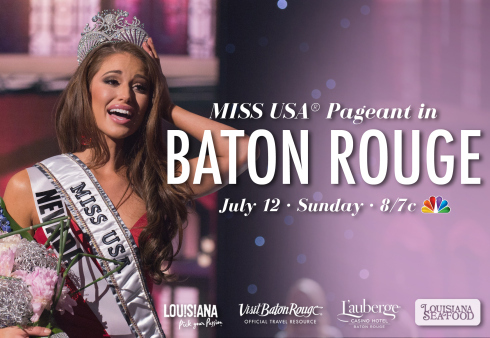 It will proudly present the Donald Trump-tainted Miss USA pageant on July 12th after Univision backed out and NBC followed suit four days later. Networks, hosts and judges began bailing on the Trump-owned pageant after his heavily publicized slams at Mexican immigrants during his June 16th announcement that he’s running for president as a Republican. In 2011, ReelzChannel picked up The Kennedys miniseries after History Channel paid for its production and then decreed it “not a fit for the brand.” The 8-hour production, which starred Greg Kinnear, Katie Holmes, Tom Wilkinson and Barry Pepper, ended up receiving 10 Emmy nominations and won four. For now, ReelzChannel also is home to Hollywood Hillbillies, its most popular program, as well as Branson’s Taxi, Master P’s Family Empire, Celebrity Damage Control and repeats of Access Hollywood Live. Its most immediate challenge, in light of the Miss USA pageant acquisition, will be finding identifiable people to host and judge it. Dropouts include previously announced hosts Cheryl Burke and Thomas Roberts (an anchor for MSNBC), and former Dallas Cowboys star Emmitt Smith, who had signed on as a judge. ***NBC has renewed one serial killer and canceled another. The network’s summer series Aquarius, starring David Duchovny and built around the pursuit of Charles Manson, is getting a second season. But Hannibal has been axed in its third season after being eaten alive in the prime-time ratings. For now, though, new episodes continue to air on Thursday nights.